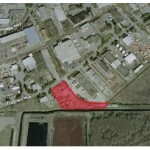 The Industrial Guys at Colliers here have sold another building out in Surrey at 9688 190th Street. The building is a single tenant industrial building, and features 12,000 square feet of floor area. The selling price of the property was $3,620,000 and the assessed value for tax purposes is $3,036,000. Zoning for the property is IL Light Industrial and the approximate site area is 2.006 acres. Cushman & Wakefield just brokered the sale of 11780-11784 Hammersmith Way in Richmond. The property has an area of 6.659 Acres, and is zoned I-3 business park industrial. The multi-tenant property is improved with a 123,000 Industrial Building and sold for $12,790,000. The assessed value of the property is $13,920,000. Simon Lim and Morgan Dyer here at Colliers just closed the deal on the Kelowna Self Storage property on 1606 & 1698 Findlay Road in Kelowna, BC. The property consists of two legal parcels measuring 5.55 Acres, and is improved with 30 buildings which contain 639 storage units and 40 mailboxes. The assessed value of the property was $7,286,500 and the selling price of the property was $9,550,000. Colliers has brokered the sale of the Retail/Office mixed-use property on 877 East Hastings Street in Vancouver. The 15,250 square foot property is improved with a three-storey building built in 1986, measuring 26,345 square feet of leasable area, and zoned M-1 Industrial. The property also features underground parking with 44 stalls. Sale price on the property was $4,375,000 with an original listing price of $4,588,000. The property was Vacant at the time of sale. The guys at CB Richard Ellis have brokered a big business park transaction with the sale of the 31.4 acre properties at 3755 Willingdon Ave, 3700 Gilmore Way, and 4225 Kincaid St in Burnaby and 1608 Cliveden Ave in Delta. The properties were owned and occupied by Kodak exclusively. 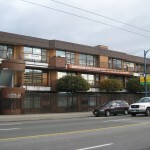 The properties are improved with several buildings and very close to the BCIT Burnaby campus. The price paid for the entire portfolio was $43,000,000, and the total floor area is approximately $386,700 representing an aggregate price per square foot of $111 for all four properties. 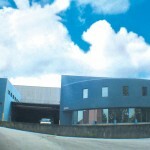 Colliers International brokers another deal this month with an industrial property in Burnaby at 6952 Greenwood St. The property is zoned M4 Industrial and measures 43,300 square feet. The property is improved with a single-tenant building with a floor area of 22,024 square feet. The selling price was $2,625,000 and the original asking price was $2,850,000. The selling price represents a price per square foot of building area of $119. The 1.48 acre industrial site at 7722 Progress Way was recently sold by CBRE for $1,200,000. The original asking price for the property was $1,300,000. The lot is currently vacant and fully serviced, located in the Tilbury Industrial Park. 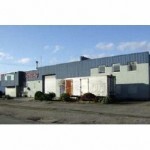 The property is currently zoned I-2 Heavy Industrial and provides easy access to Highway 1. 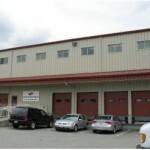 CBRE has brokered the sale of a Warehouse on 5735 Dorset Street in Burnaby. The asking price for the property was $2,000,000, and sold for $1,750,000. The property is located in the Kingsway/Beresford industrial area. The building area is 8,420 square feet, and the final selling price represents a price per square foot of just under $208. The lot area is 16,750 square feet and zoned M-4 Special Industrial District. 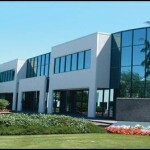 Colliers has recently brokered the sale of 1900 Savage Road in Richmond BC in the Rivers Reach Business Park. The Industrial Warehouse building measures 21,892 square feet, and sold for $2,050,000, representing a price of $93.64 per square foot. The property is located just east of No. 6 Road and a block south of River Road with easy access to Knight Street Bridge and the US Border. The property was initially offered at $2,850,000 and had a price reduction to $2,200,000 before finally selling at the price above. Dynamic Structures, a steel fabricator located at 1515 Kingsway Avenue in Port Coquitlam recently sold their building with vendor leaseback for $9,768,638. The property is zoned M-2 Heavy Industrial, and the lot size is 9.6 Acres. The property is comprised of two legal parcels, one on which the building is situated, and another provides parking.